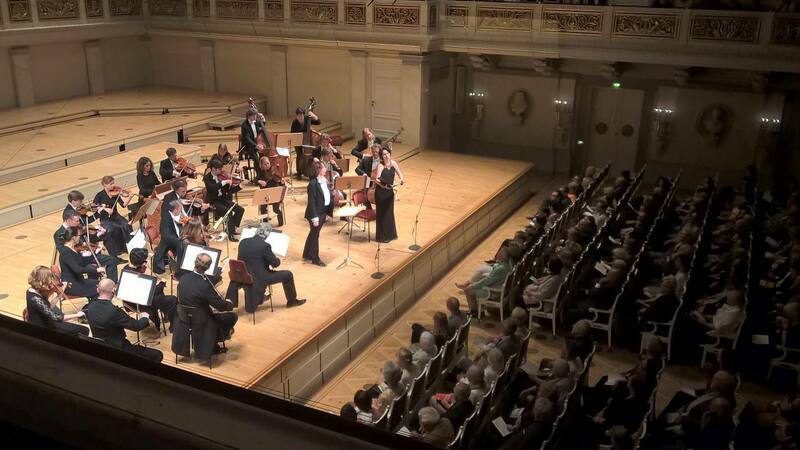 While Nathalie Stutzmann was making her conducting debut at the head of Konzerthaus Berlin symphony orchestra on June 2, conducting Schubert’s Symphony No. 4, she was asked at the last minute to jump from the podium to sing Pergolesi’s Stabat Mater with Anna Prohaska in the second part and conduct at the same time the symphony orchestra the way she does with Orfeo 55, replacing sick Philippe Jaroussky. She received a 20 minutes standing ovation from the German public thanking her for this incredible performance, which she repeated on June 3 and 4 with equal success. 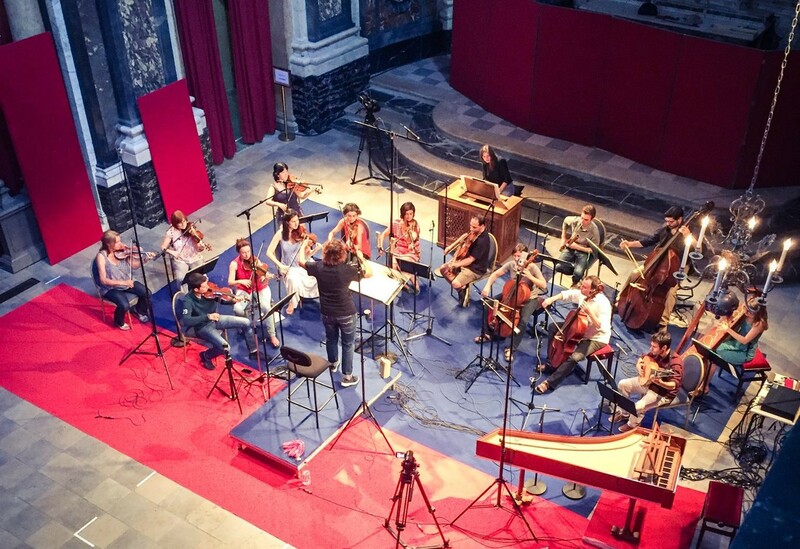 A world premiere in the history of classical music! Visit Nathalie’s Facebook page to read the many comments left by audience members. 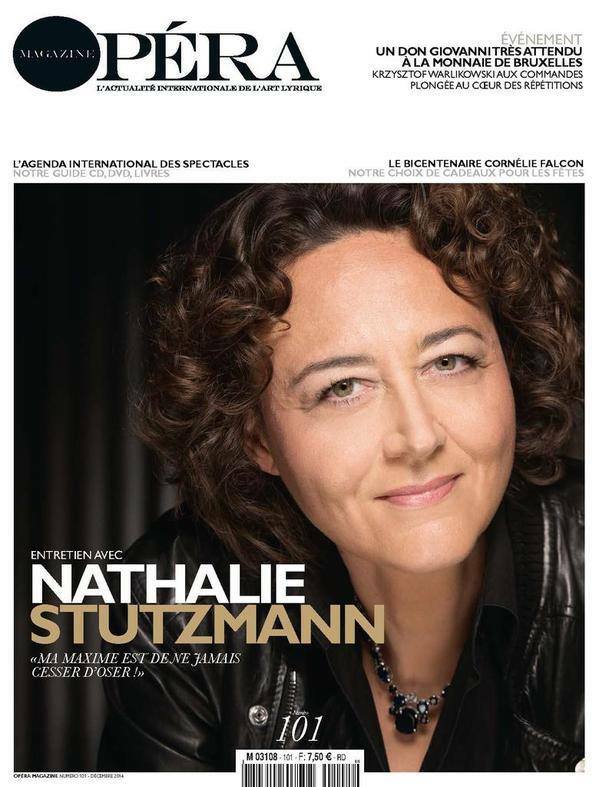 Nathalie Stutzmann is travelling to North America this week to take the baton with the renowned St. Louis Symphony Orchestra for three performances at the St. Louis Powell Hall on April 22, 23 and 24. The programme will open with Mendelssohn’s Hebrides Overture, followed by Sibelius’ Violin Concerto with soloist Karen Gomyo and Dvorak’s Symphony No. 7. Nathalie’s performance of April 23 will be broadcast live worldwide on the KWMU St. Louis Public Radio at 8pm local time (GMT-5). As the Christmas season is beginning, Nathalie Stutzmann is on the brink of making her American conducting debut with two renowned symphony orchestras: the Detroit Symphony Orchestra at Detroit Orchestra Hall on December 12 and 13, and the Washington National Symphony Orchestra at the Kennedy Center on December 17, 18, 19 and 20. She will be leading both orchestras in a signal Christmas work, Handel’s Messiah, with soloists Emoke Barath (soprano), Sara Mingardo (contralto), Lawrence Wiliford (tenor) and Stephen Powell (bass). Conducting Messiah at the head of the Royal Liverpool Philharmonic Orchestra earlier this year, Nathalie’s performance received outstanding critical and audience praise: “Beautiful is just one word that can sum up this performance of George Frideric Handel’s Messiah, given by the Royal Liverpool Philharmonic Orchestra as conducted by Liverpool Philharmonic debutant, Nathalie Stutzmann. (…) So impressive was Stutzmann’s control, energy and enthusiasm it brought from the choir at the end, during the second of three curtain calls, a spontaneous stamping of appreciative feet that is rarely if ever heard in this great auditorium.” (Click Liverpool, January 2015). She will return to Washington in June, to sing Mahler’s Ruckert-Lieder with Christoph Eschenbach and National Symphony Orchestra. 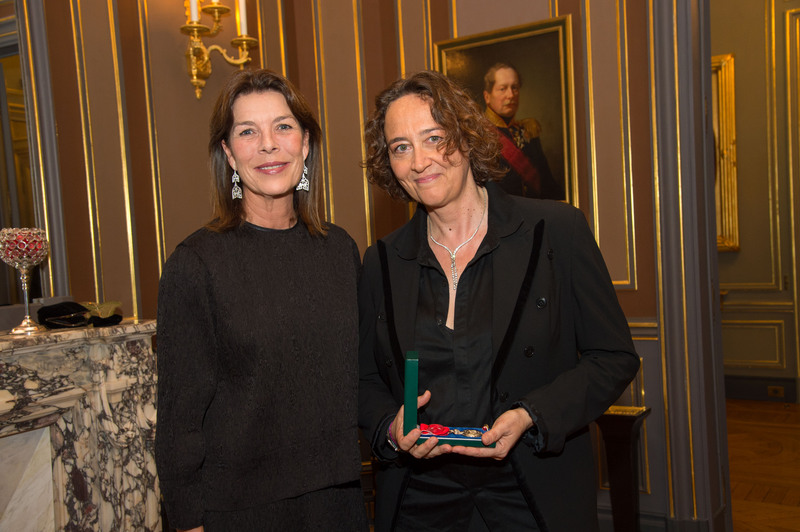 Following her concert with Orfeo 55 at Monte-Carlo Opera on November 11, Nathalie Stutzmann was awarded Officer of the Order of Cultural Merit of the Principality of Monaco by Her Royal Highness the Princess Caroline of Hanover, in honour of her work both as a singer and a conductor. Her many successes in the Principality include having being the first woman in history to conduct an opera production in Monte-Carlo, Donizetti’s L’elisir d’amore in 2014, which led to an immediate reinvitation to conduct a production of Wagner’s Tannhäuser in 2017. On October 1st, the São Paulo Symphony Orchestra (OSESP) announced the appointment of Nathalie Stutzmann as Associate Artist for the 2016, 2017 and 2018 seasons, as both symphonic conductor and singer. During this period, Nathalie’s time with the orchestra will increase, beginning with two weeks with OSESP in September 2016, during which she will be leading two programmes each composed of three concerts, including performances with pianist Khatia Buniatishvili as a soloist. She will also conduct a Free Morning Concert. Nathalie has already performed several times with the OSESP, notably in 2013 while she was Artist in Residence. “We’ve been able to improve the sound quality of the original recordings, and I’m satisfied that the remastered versions do full justice to the work we did back then”, says Nathalie. “I couldn’t do without Schubert in my life,” she adds. This set also celebrates the 20th anniversary of her partnership with Inger Södergren. A perfect Christmas gift for all classical music lovers! * Outside France only. French release date is due on January 12, 2015. Just a few days before launching her Handel Messiah tour with Orfeo 55, Nathalie Stutzmann headlines the French Opéra Magazine for an in-depth interview on her career. The rest of the interview in the magazine, downloadable here. Check-out some of the reviews and purchase your copy on Amazon, Fnac, iTunes, Qobuz or at any good local retailer!